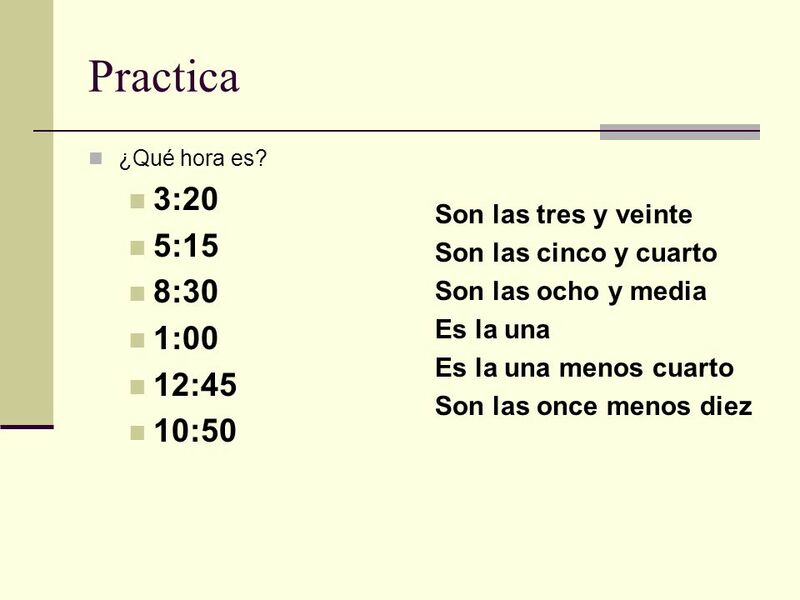 Los Números y El Tiempo. 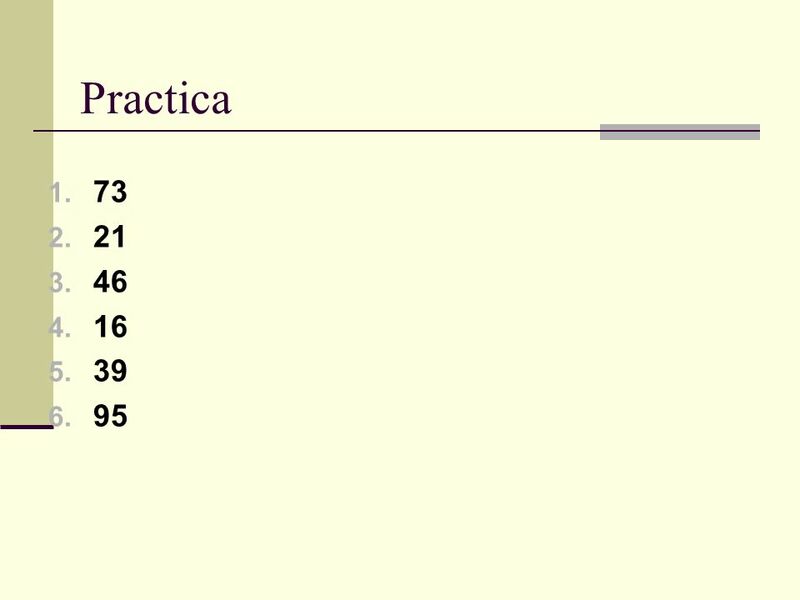 Los Números Más de 10 11 = once 12 = doce 13 = trece 14 = catorce 15 = quince 16 = dieciseis 17 = diecisiete 18 = dieciocho 19. 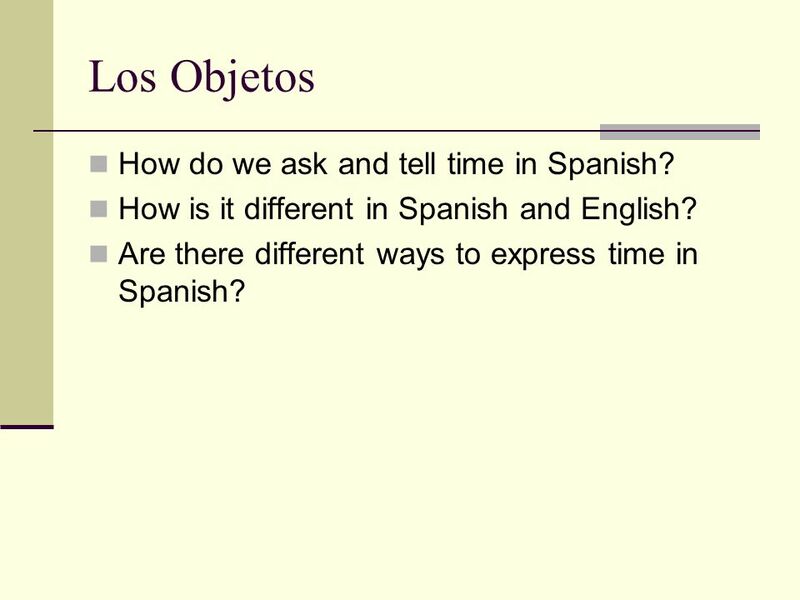 7 Los Objetos How do we ask and tell time in Spanish? 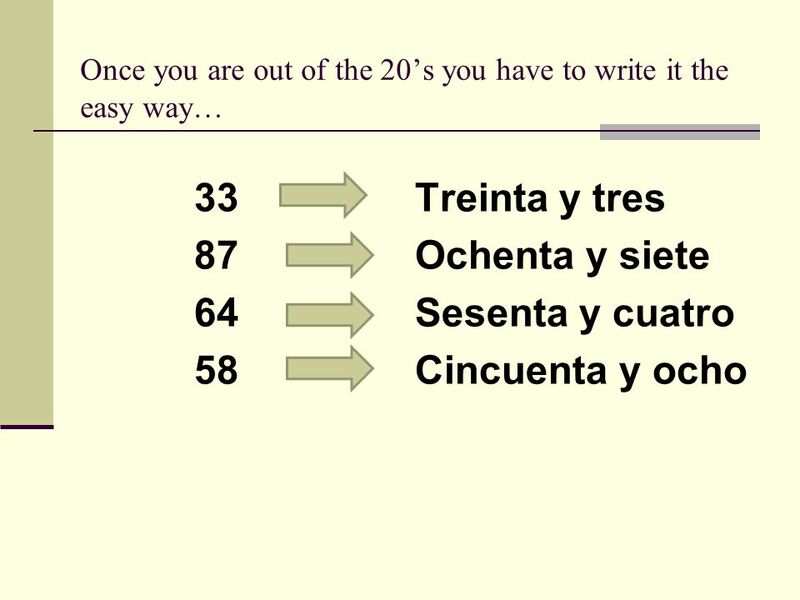 How is it different in Spanish and English? 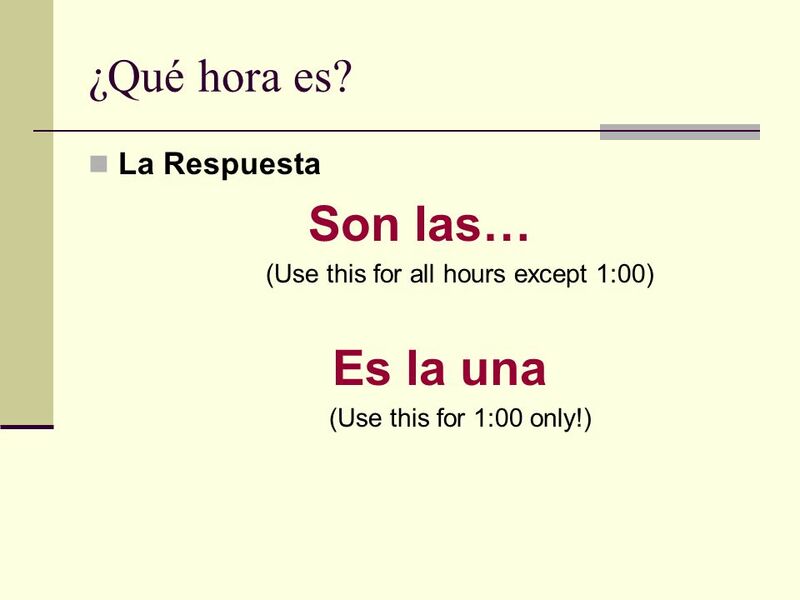 Are there different ways to express time in Spanish? 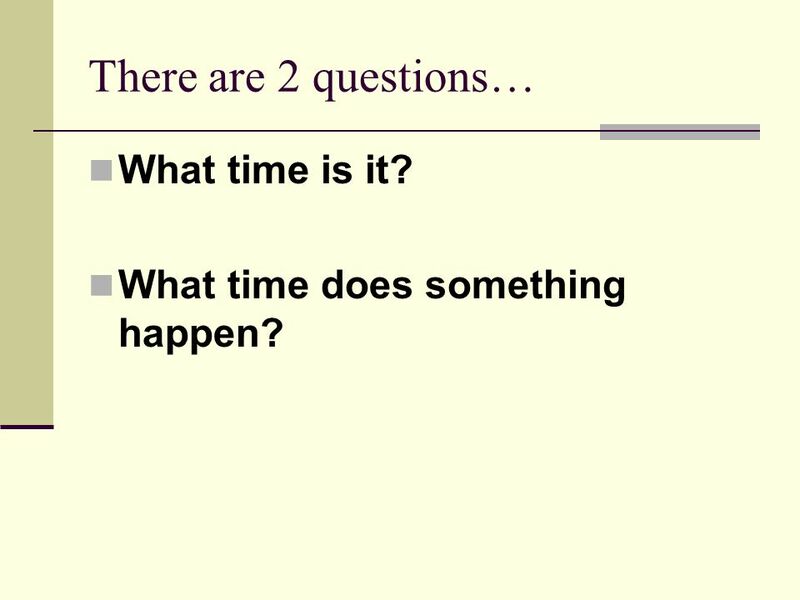 8 There are 2 questions… What time is it? 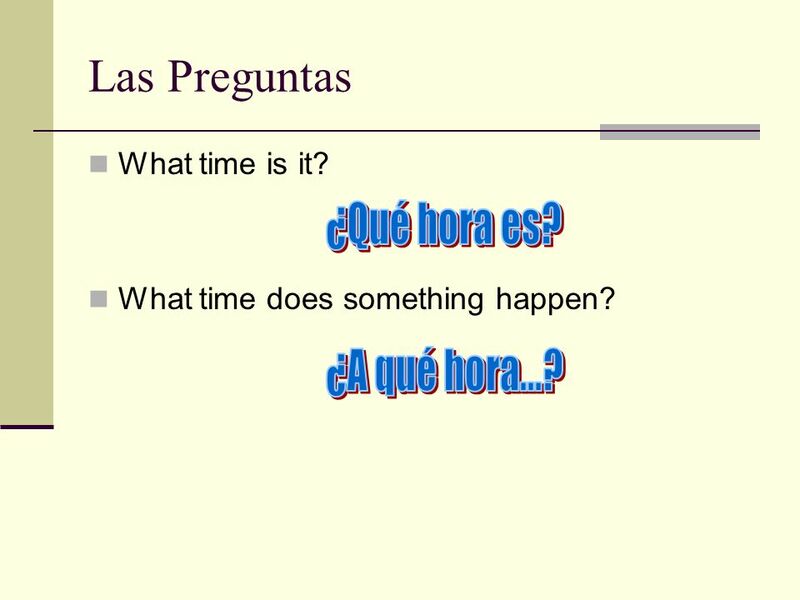 What time does something happen? 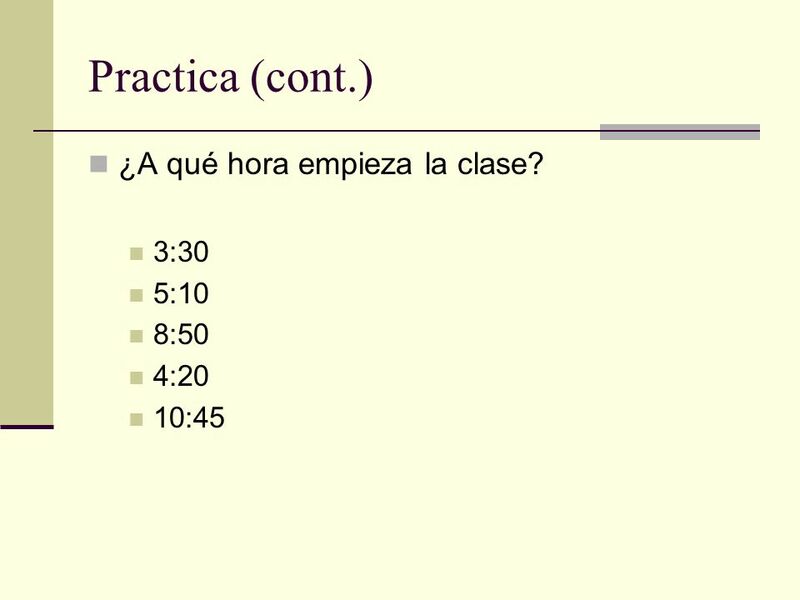 9 Las Preguntas What time is it? What time does something happen? 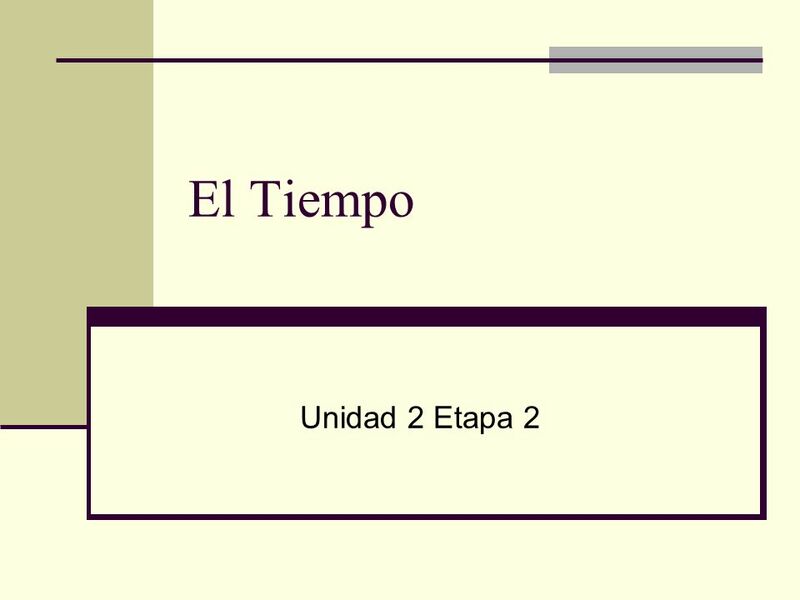 12 El Tiempo (cont.) 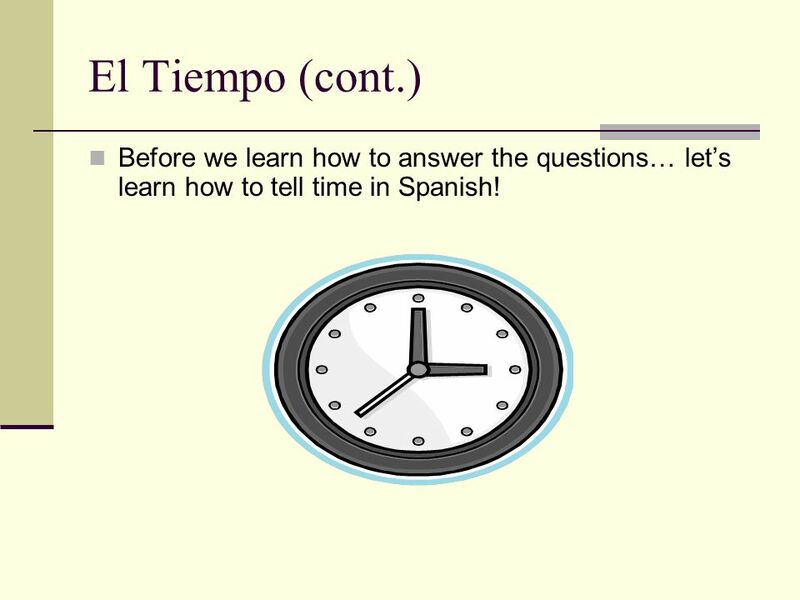 Before we learn how to answer the questions… lets learn how to tell time in Spanish! 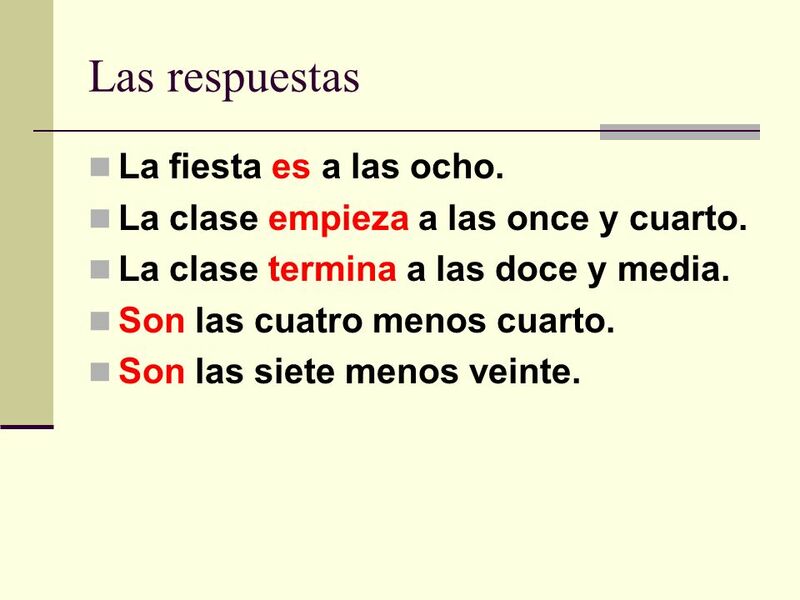 16 Las respuestas La fiesta es a las ocho. 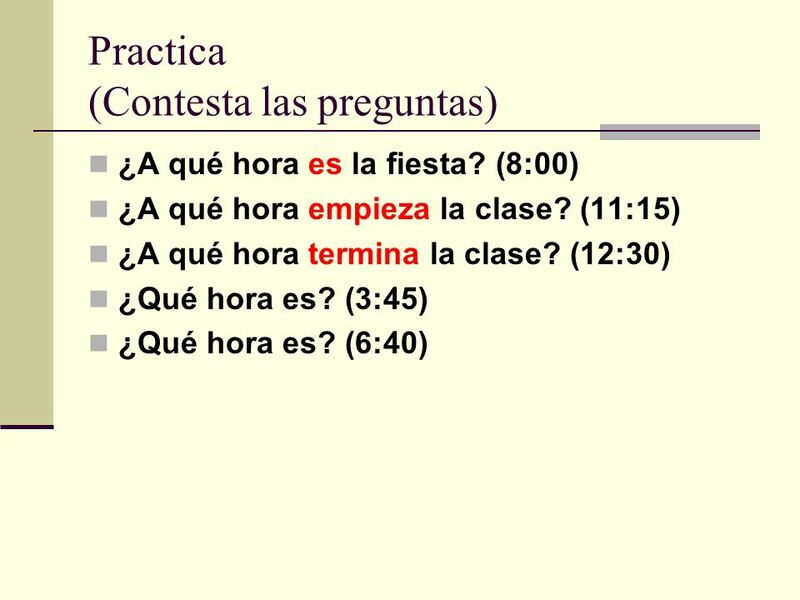 La clase empieza a las once y cuarto. La clase termina a las doce y media. Son las cuatro menos cuarto. Son las siete menos veinte. 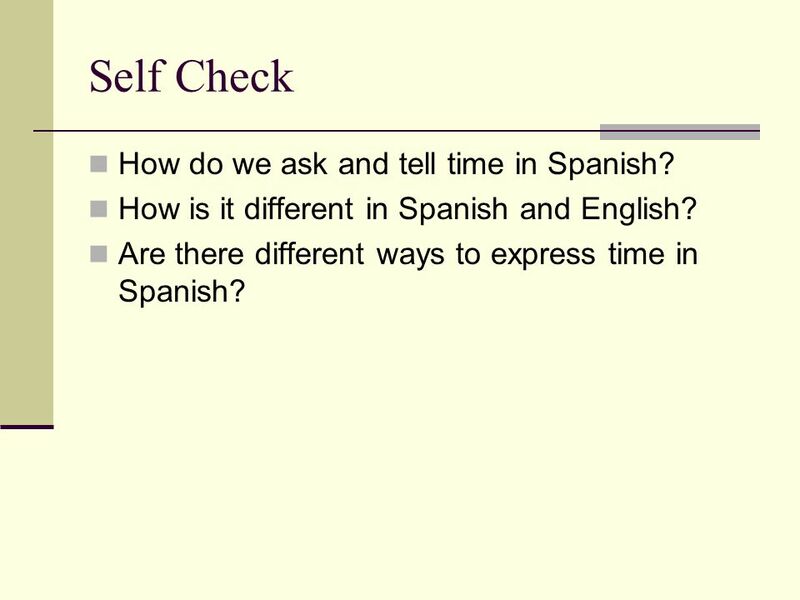 17 Self Check How do we ask and tell time in Spanish? 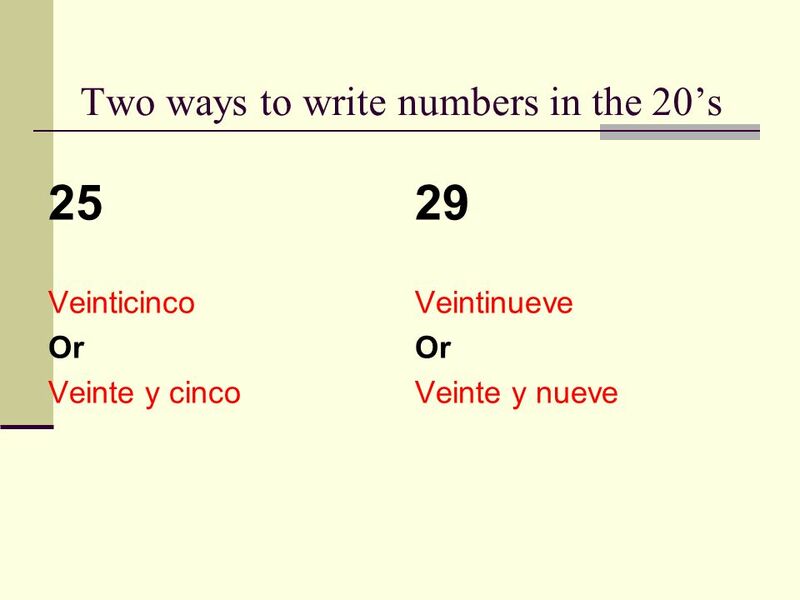 How is it different in Spanish and English? 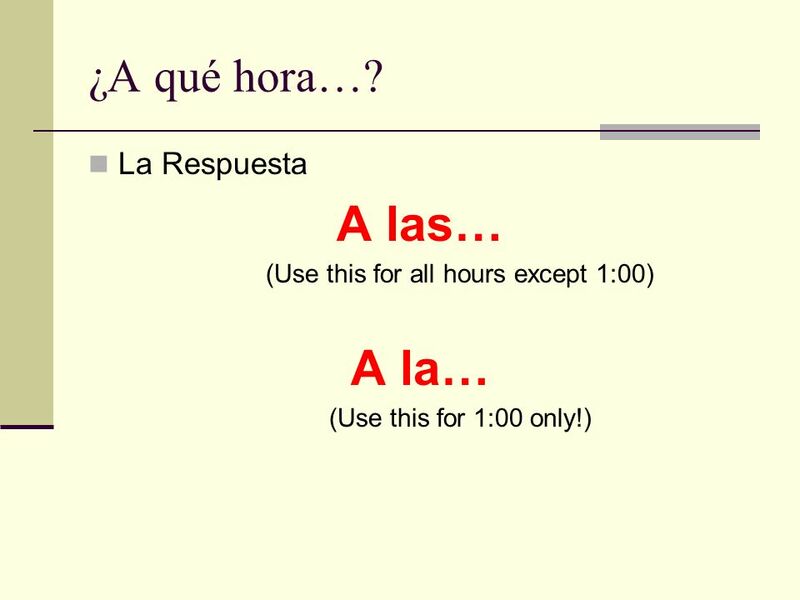 Are there different ways to express time in Spanish? 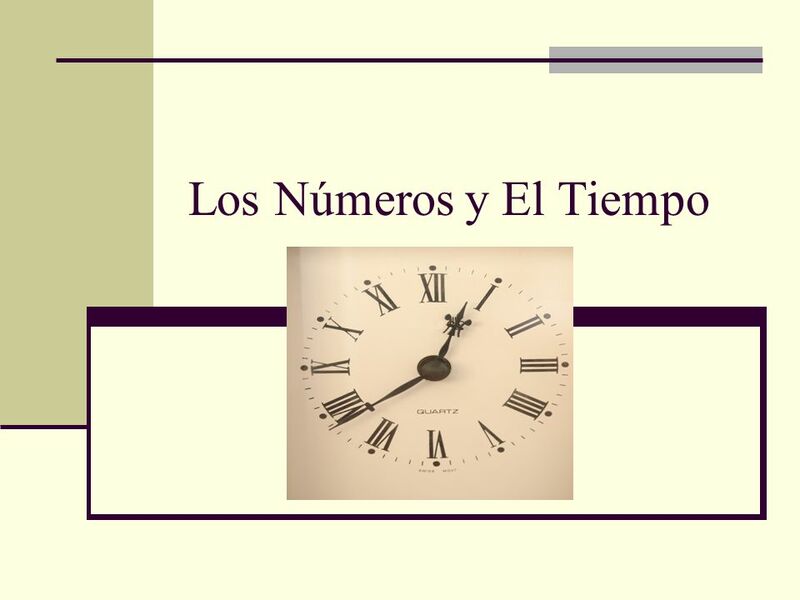 Descargar ppt "Los Números y El Tiempo. 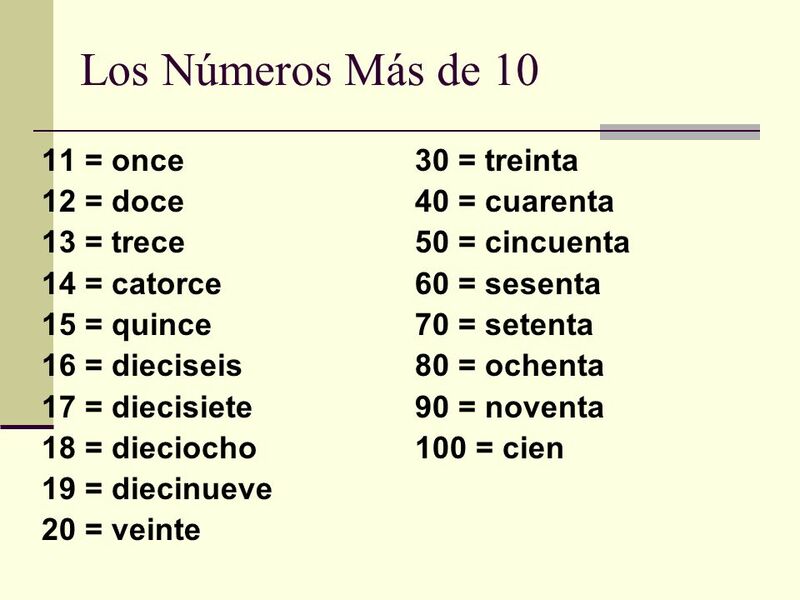 Los Números Más de 10 11 = once 12 = doce 13 = trece 14 = catorce 15 = quince 16 = dieciseis 17 = diecisiete 18 = dieciocho 19." Hagan Ahora (Do Now) Pg. 57 #29. Los números el 13 de noviembre. 0 cero. 0 cero quince 1 1 uno catorce.